Get your dream room designed with Godrej Interio's #HomeCanvas contest! Get your dream room designed with Godrej Interio’s #HomeCanvas contest! Your room is a cozy little corner on the planet that welcomes you through every shade of life. Your room has seen your childhood, your teenage crushes, your panic the night before your exams, sleepovers with your friends, that fight with your mom and the make up hug afterwards. Whatever troubles you might face in the outside world, your room is always the one place where you can find solace. Godrej Interio in association with BlogAdda has come up with the #HomeCanvas contest. Godrej Interio has a cool way to get your den customized by professional designers. Do you have an idea of a perfect room? If yes, then we have the professionals who are all set to make it a reality. A mystical place where your soul manifests itself, your home is the most interesting place on earth. How would it be to wake up to views that speak aptly about your personality? How about having a room with a blend of colors, designs, creative ramblings and a collection of memories that hold your core? Such a room would be very difficult to get out of, right? They say that our home is a reflection of our personality. Everything in our room stands for a part of us; be it the colour or a knickknack you picked up during your travels. So what do you prefer your room to be? Playful, elegant colorful, sleek, stylish or do you want it to reveal a different layer according to your mood? Share with us your ideas for a dream home and how you would like to design it. The winning post gets his/her room professionally designed by Godrej Interio. What more would you wish for? Close your eyes and conjure up your dream home design, and write a blog post about it. Who knows, you might be the person who gets their dream fulfilled! “Write an awesome blog post on how you would want to your home/room to be transformed”. 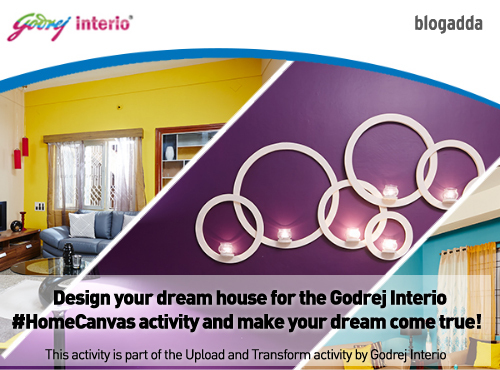 The winning blog post will get his/her dream room designed and created according to their wishes by Godrej Interio! 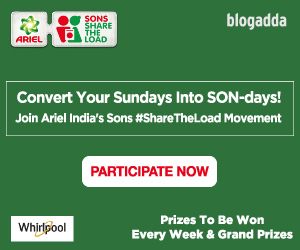 Top 20 bloggers win a voucher worth Rs. 1,000 each! The word limit for each blog post is a minimum of 400 words. Bloggers must include the line. “I am participating in the Upload and Transform #HomeCanvas activity in association with Godrej Interio and BlogAdda. 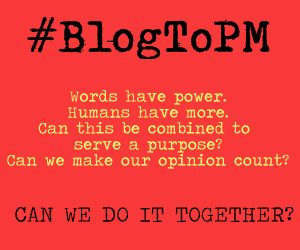 If you are not blogging, you can still be a part of this activity. Here’s how” in their blog post. The last date of submission for this activity is August 20, 2015. Every participant can submit a maximum of 2 entries. What are you waiting for? Pen down your dream in a blog post. It is about to become a reality. Do we need to upload the photos of the room for this round of contest? Are tweets and facebook shares mandatory for submission? What about entries of bloggers who don’t have twitter or facebook accounts? Yay Manjulika. We look forward to read your post. Team Godrej Interio, Please Liven Up My Living Room! Previous PostPrevious Register for the #RnMOnAskMe activity and go on a food journey!